Amidst orange-pride, live music, DJs, parties and a citywide street market, you'll find an electric atmosphere not to be missed. The next King's Day will be celebrated on Saturday, 27 April 2019. The name may have changed slightly but the festive spirit of the day is sure to remain! You'll be treated to a sea of orange as everyone - and their pet - is covered head to toe in oranje (orange) as a show of pride for the Dutch Royal family, the House of Orange-Nassau. As a city built on trade, Amsterdammers love to haggle and bargain. The vrijmarkt (literally ‘free market’) gives everyone and their mum the chance to sell their second-hand things on the streets and parks of Amsterdam, creating one of the world's largest flea markets. While the majority of Amsterdam's major museums and attractions are closed on King’s Day, several notable visitor hotspots traditionally stay open including the Anne Frank House, Van Gogh Museum, Stedelijk Museum and the Rijksmuseum. Be sure to check before you go. On King's Day, cities across the Amsterdam Area are awash in orange, with all-day festivals filling the streets with markets, music, laughter and cheer. If you're looking to avoid the crowds in Amsterdam city centre and celebrate this iconic Dutch day elsewhere in the region (or even further afield), then our inspirational guide should help you find your ideal King's Day spot. Stay up to date with the best parties and events, see market locations, or simply find your nearest toilet with this special King's Day app by Woov. The app is in Dutch but contains a handy map to help you navigate this year's King's Day. Download it in the app store or get it on Google play. Looking for the nearest toilet, recycling container or a party? Do you want to know where your friends are in the city? 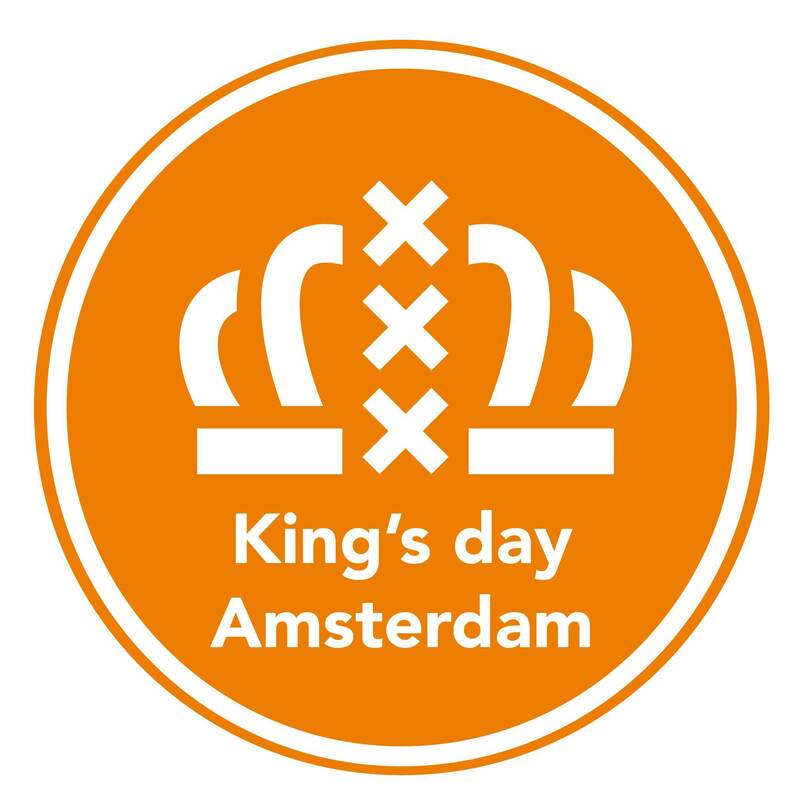 With the Koningsdag app Woov you have all the information about King's Day at hand. Learn more about King's Day in Amsterdam with these 10 top quirky facts! Browse I amsterdam's April highlights for an idea of the King's Day events, festivals and other special events in store throughout the month.